Welcome to Write for a Reason! Do you write stories for children/young people? Do you struggle to finish stories you have started? Or have stories in your head you have not yet begun to write? Wonder if your stories are good enough? If you answered yes to any of these, Write for a Reason is for you! Hello! 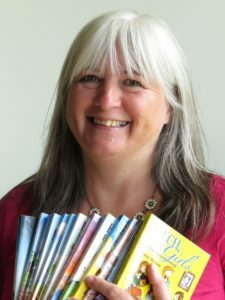 My name is Janet Wilson, I’m a mum, grandma and founder of Dernier Publishing – we publish fiction written from a Christian perspective for young people (8-16-ish). In my job as publisher, I have learnt a few things about stories, which I would love to pass on to you, to help you achieve your writing goals. Whether you are looking for a bit of ENCOURAGEMENT, some SUPPORT or look to up your game with some TUITION, I hope that together we can help you make your stories the very best they can be! You can start right now! Sign up below and straight away you will receive a report I have written specially for you: Seven Pointers for a Great Start to Your Novel. Then I will send you regular writing tips and encouragement, to help you stick to your writing goals – or even exceed them!